In parts of Asia, overloading a vehicle is common practise. For example, a passenger car designed for 9 people may carry 13 or 14 passengers, but what this driver and school teacher did may be pushing the boat out a little. 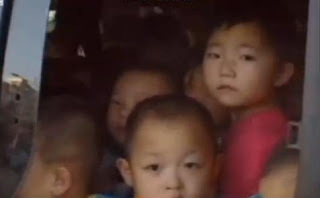 In Qianan, Hebei Province, China, a compact MPV was stopped by local authorities after it was discovered that 66 small children – aged 4 and 5 - were crammed into a vehicle designed to carry 8 passengers. The rear cabin was dismantle and fitted with wooden benches to transport the children to school. The driver apparently received a hefty fine.